Politics influence everything, so it is always good to be informed. But for knowing what you are talking about, you have to have the necessary information about the system you are living in. So let’s try to make a quick overview of the political system of the Federal Republic of Germany. If you have your origin in the United States or France, you would think that the president is the most powerful person in the state – but not in Germany. In fact, the Federal Republic just has a president in a representative manner. He (or she) does not have a lot of political power. More like the Queen of Great Britain, he represents the values of the nation and here and there makes statements. Besides, he has to sign the bills and appoint the ministers. The reason for this fact is simple: Germany has had some dreadful experiences with one person having the power of the whole state. That’s why all of German politics aim at preventing to let one person gain too much influence. Germany is therefore not only a federal but also a parliamentary republic. That means that the parliament has the power, the so-called Bundestag (not to mix up with the Reichstag: That’s just the name of the building.). The members of the Bundestag (all in all 630) are voting and passing the bills. 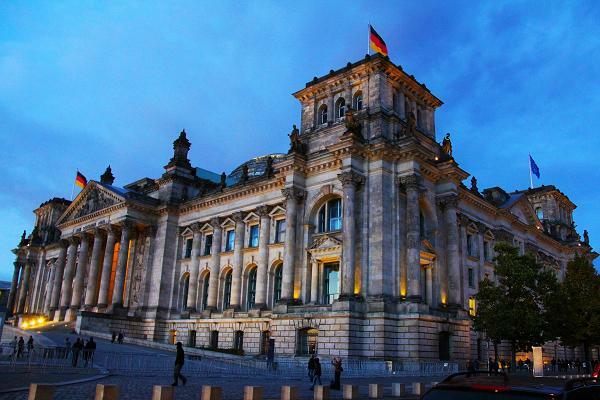 But with Germany being also a federal republic, another chamber is part of the legislative system, the Bundesrat. As soon as the bill is at any place affecting the matters of the 16 Bundesländer, the Bundesrat has also to vote for and then pass the bill. Sounds a bit confusing? It is, also for those who are well-educated in politics. The Chancellor, at the moment Angela Merkel, is also part of the Parliament and has, of course, a mandate. Thus executive and legislative are at a certain amount mixed, but that’s not a problem at all: The Bundeskanzler has to be elected by the members of parliament and not by the citizens. The Bundestag controls the Bundeskanzler, although he or she sets the basic principles of the German policy in advance (the so-called Kanzlerdemokratie). The parliament can dismiss the chancellor in different ways – the konstruktives Misstrauensvotum (motion of no confidence) and the Vertrauensfrage (where the chancellor asks the parliament for loyalty). The first thing happened twice until now, the second one five times. The chancellor is not only part of the parliament, but also head of the government (but not the head of state). Therefore, he/she is choosing different ministers for his/her government. Because Germany has a multi-party system, the chancellor needs to follow the result and the ratio of the election when naming the ministers. Because of that, normally a coalition between two or more parties has to be made to form a functioning government. Otherwise, the government would not have the parliament’s majority to rule the country properly. Separated from the executive and the legislative is of course also in Germany the judicative. There is a close link to the idea of federalism: Each Land has its courts, but the highest instance is the Bundesgerichtshof and therefore a court of the Bund (The Federal Republic). One could write pages and pages more about the rather complicated system, but this overview should give you a first impression. If you are planning to learn more about the political system in Germany, just take a look at the page of the Bundeszentrale für politische Bildung (Federal office of political education).